Schalke have reached the last 16 of the Champions League, but their progress to the knock-out stages did not stop travelling fans booing their team's dismal 3-1 defeat at Porto. German fans celebrated before kick-off in the Portuguese city on Wednesday when Lokomotiv Moscow's 2-0 win over Galatasary meant both Schalke and Porto were through to the last 16 from Group D.
However, the mood soured after Schalke were well beaten by Porto as the Germans only had a late Nabil Bentaleb penalty to show and their fans voiced their disappointment over a dismal away display. "It's hard for us when the fans are upset, but we need to understand their reasons," said defensive midfielder Omar Mascarell. 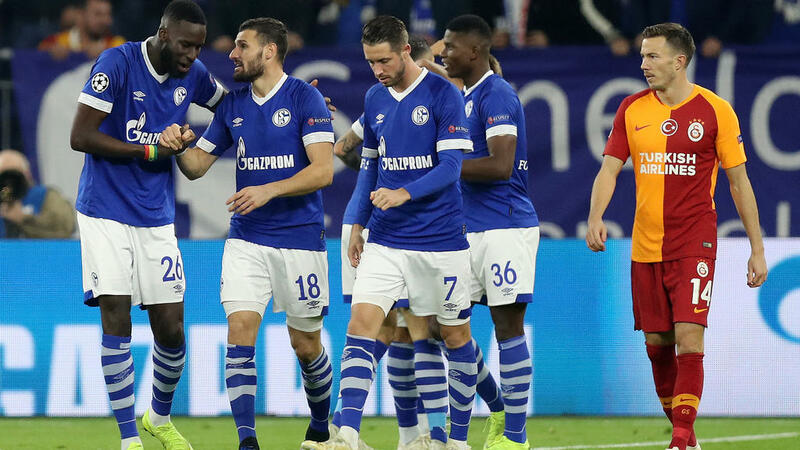 Schalke were floored as Porto netted two second-half goals in quick succession, as Brazilian defender Eder Militao struck in the 52nd minute and Jesus Corona three minutes later. Moussa Marega hit a third late for the hosts in added time. The German fans whistled and booed their team off the pitch and sports director Christian Heidel was surprised given their passage into the last 16. "You always have the right to express resentment, but we have qualified for the last 16 - I just don't get it," he said. The mood of the disgruntled fans was made worse as the team did not acknowledge the travelling support after the final whistle. "They came a long way to get here," said midfielder Alessandro Schoepf. "One could have gone to thank them in the stands, that is all about respect." Schalke's injury-hit attack failed to manage a single shot on goal in the opening 45 minutes while Porto ripped the Royal Blues defence apart after the break. Only good saves by Schalke goalkeeper Ralf Faehrmann kept the visitors in the game. However, Schalke deserve some sympathy in the face of a crippling injury list with five forwards injured. Guido Burgstaller was missing in Porto with an Achilles tendon problem, then right winger Steven Skrzybski had to be replaced at half-time with a shoulder injury while Mark Uth, Breel Embolo and Cedric Teuchert are all sidelined long term. "I have never heard of a Bundesliga team having five forwards injured at the same time," grumbled Heidel, who hopes to have Burgstaller and Skrzybski back from injury before Saturday's away match at Hoffenheim. Schalke have lost only one of their five games so far in Europe, but are just four points clear of the bottom three in the Bundesliga after seven defeats in 12 games.